Ross Oscar Knight Photography | Destination and Fusion Weddings | International PhotoCulturalist: I Am Returning to My Home in Pensacola! KNIGHT India Exhibit Travels to the Panhandle - Florida's Gulf Coast! I Am Returning to My Home in Pensacola! 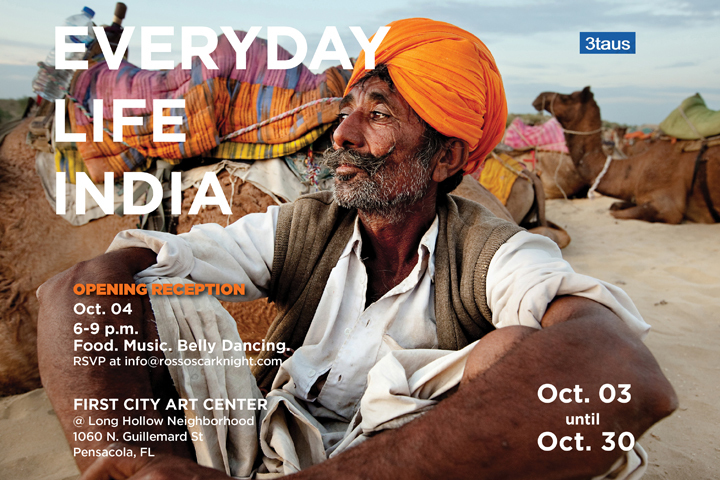 KNIGHT India Exhibit Travels to the Panhandle - Florida's Gulf Coast! Some of you know that I grew up near the white sandy beaches of Pensacola, FL. Although I've traveled back to visit friends and family over the years, I have never exhibited my photography or met with the students at my former schools: Scenic Heights, Brown Barge and Pensacola High International Baccalaureate. It's been placed on my heart to do this and I'm finally ready. This October 3 - 30, 2013, I will have an exhibit on display at the First City Art Center. The opening reception is October 4th from 6 - 9 PM. This exhibit will be followed by a 2014 exhibit at the University of West Florida and the Pensacola Museum of Art. The first 100 people to RSVP will be entered in a drawing to receive a free print and/or merchandise! So excited that you are bringing your art to Pensacola! Special Announcement - New Website Coming Soon!